one with proper engineering can run for 20 years. If a prototype Generator can run for 5 hours, one with proper engineering can run for 20 years. Imagine a solution to the problem of Climate Change and increasing CO2 pollution, that will bring cheap power, clean air, pollution-free transportation, and desalination to everyone. A Little history: We have been developing this technology for five years and have invested $1.5 million. We have had several working models prior to the current prototype. The current model produces 2kW continuously after being started. The Goal: The goal of creating a magnetic generator is to eliminate all man-made CO2 pollution from electric energy production and transportation. Replace petroleum with electric energy for cars, buses, trucks, trains, ships and, maybe even planes. As an added benefit, this new technology will cut the cost of lighting, heating, cooling and transportation by 50+%. ​The problem is not physics - the problem is engineering. The solution is to use modern engineering and simulations with massive amounts of rented of computer power. Magnets: Magnets are caused by the Quantum Mechanical Spin of unpaired electrons. Electrons "spin" forever. Yes, we know "spin" is just shorthand for saying magnets maintain their magnetic dipole moment. Patent: Infinity's generator technology now is covered by our US Patent. THE LAW OF CONSERVATION OF ENERGY DOES APPLY. We believe our invention is transferring energy from the Quantum mechanical spin of electrons to physical motion and then to electricity. The energy is transferred from Quantum Field to the Physical Field. For example, when Sunlight heats the earth or strikes a solar cell and creates electricity, it does work by transferring energy from the Quantum Field of electromagnetism to the Physical Field. When Earth’s gravity changes the course of meteorite, it does work and transfers energy from the Quantum Field to the Physical Field. When a radioactive particle from Uranium strikes water and heats it, or strikes X-ray film and creates an image, it does work by transferring energy from the Quantum Field to the Physical Field. When a magnet approaches a coil of copper wire, it causes electrons (electricity) to flow in the wires and does work by transferring energy from the Quantum Field to the Physical Field. 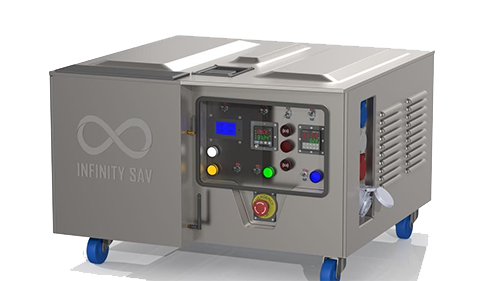 Infinity SAV uses this energy transfer to produce electricity. The generator has permanent magnets in the stator and coils of copper wire in the rotor. 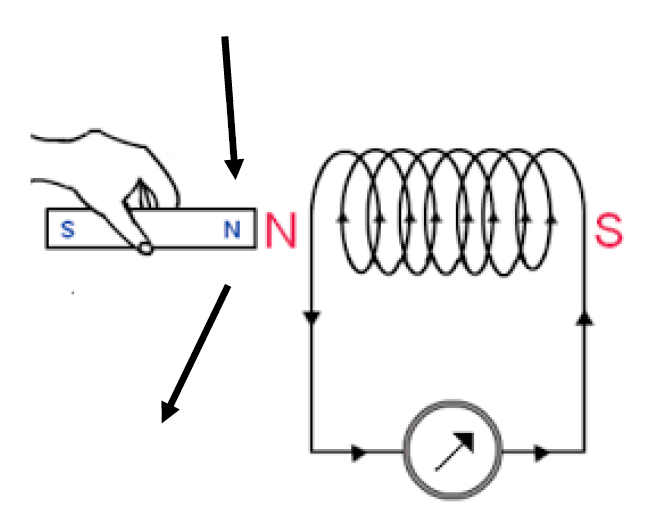 When a magnet approaches a coil of copper wire, it induces a like polarity in the coil, this is called Lorentz force. Like polarities repel each other (North repels North) and this causes the generator rotor to spin and to produce electricity. Half of the AC power is then used by the electric motor to maintain the rotational speed of the magnetic generator and half is used for external purposes. In the video, those external purposes were lights, a fan, and a space heater. What we know one thing for sure, our generator produces excess energy. That is our starting point. 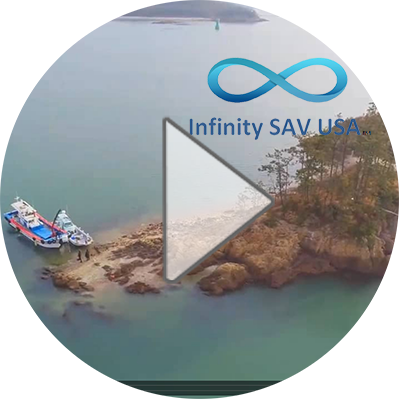 The Engineering Plan: Infinity SAV has invented an electric generator powered solely by permanent magnets. We will use the following technologies to solve the remaining engineering challenges and optimize the generator for production. Rapid Iterations to produce and bench test the best designs. IMAGINE: A heat pump sized generator that will power a house for just $0.02 per kWh with zero pollution, zero heat, and zero CO2. There is no Grand Unified Theory of Everything. There is no way to reconcile Quantum Mechanics and Classical Physics. Permanent magnets are caused by the Quantum Mechanical spin of unpaired electrons. Magnets last for hundreds of years.